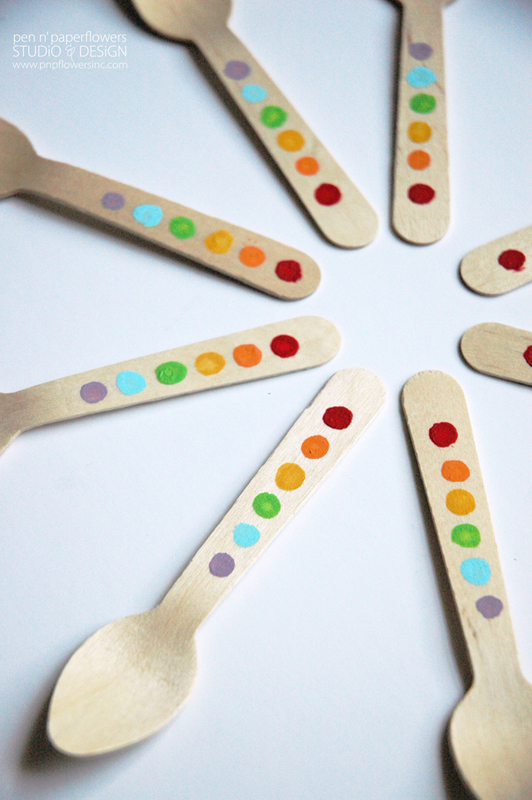 I'm completely smitten with the wooden utensil trend that has taken over the party styling world. 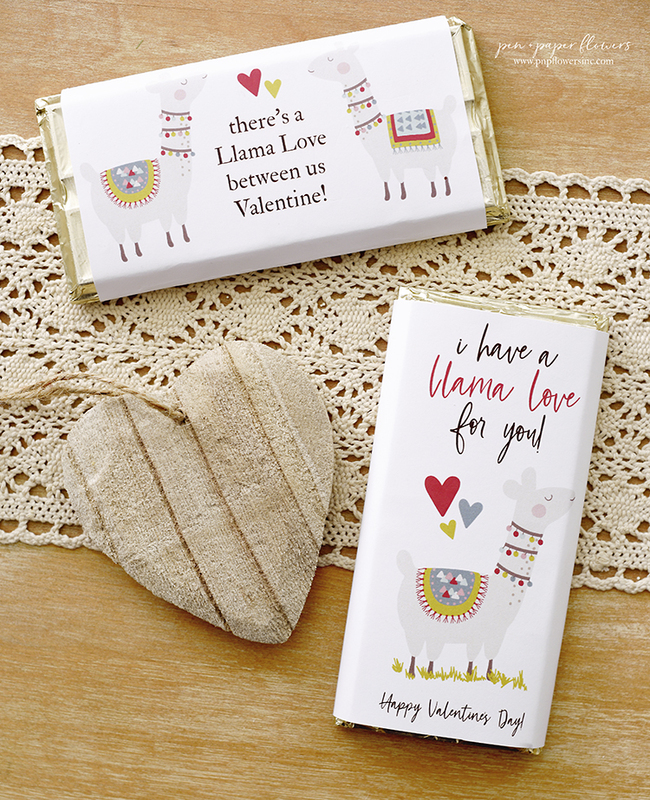 and absolutely screams "get crafty and personalize me!" in the rainbow craze I remember growing up. Please tell me you've noticed it too! 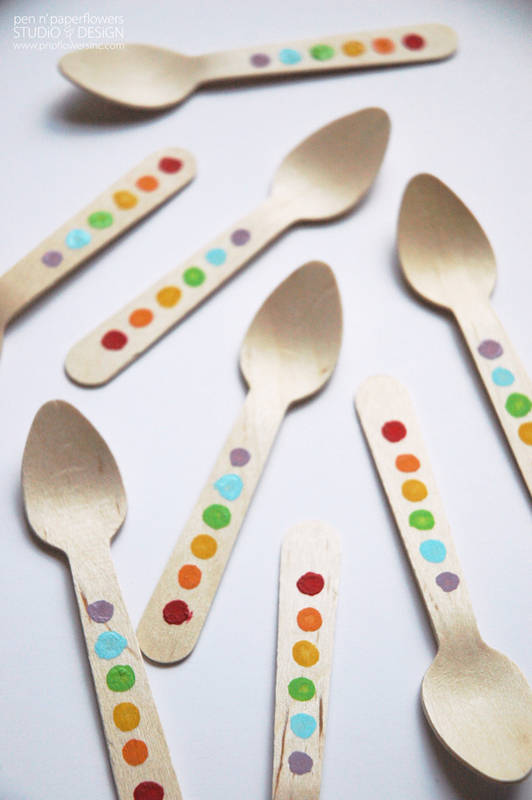 Taking direction from this inspiration I set out to create a set of simple rainbow themed painted spoons. After a couple of different paint pattern techniques, I settled on the most simple one. A line of polka dots! You really can't get any easier than that. 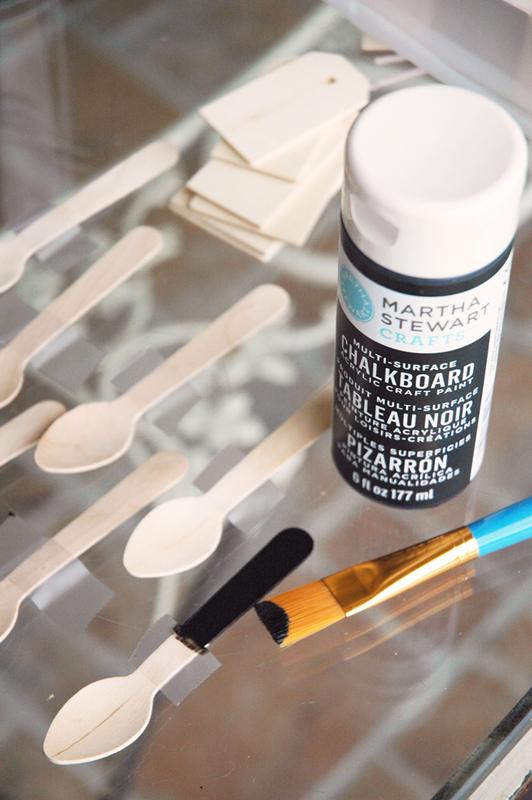 Dip your cotton swab in the acrylic paint. 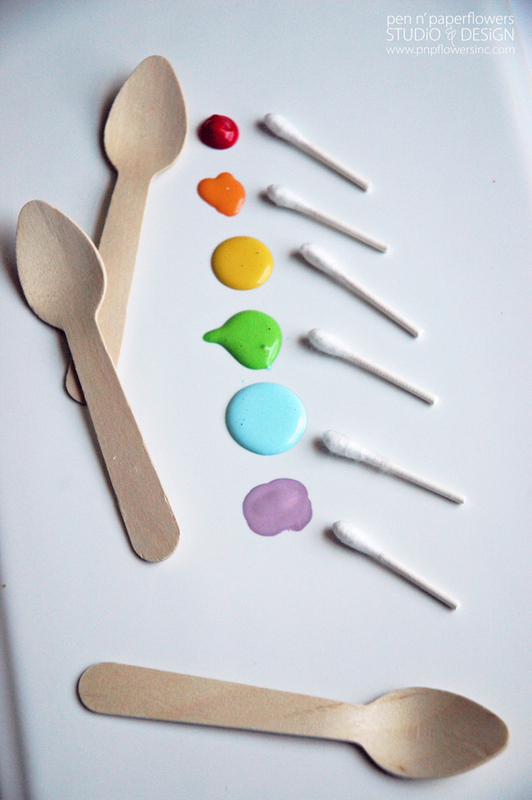 Press and twist the cotton swab onto the spoon to create a dot. Repeat with remaining rainbow colors. 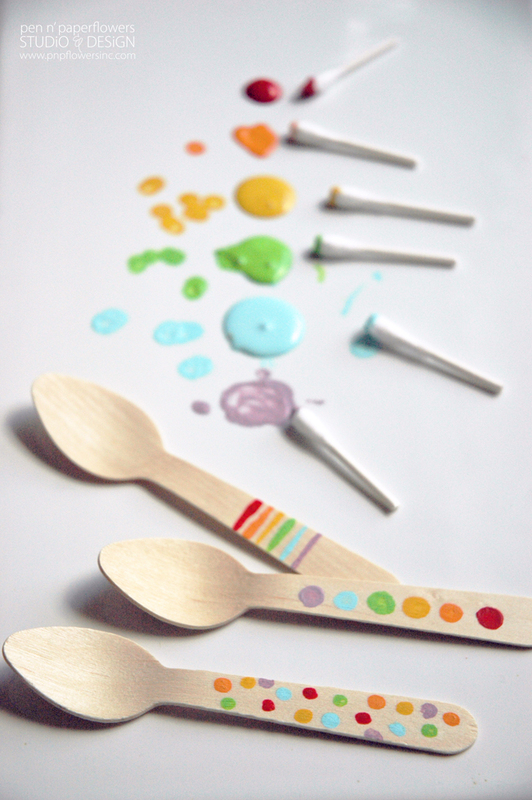 I encourage you to get creative and come up with your own rendition of Rainbow Painted Wood Spoons. Here are a couple of the other patterns I played around with before settling on the basic line of dots. 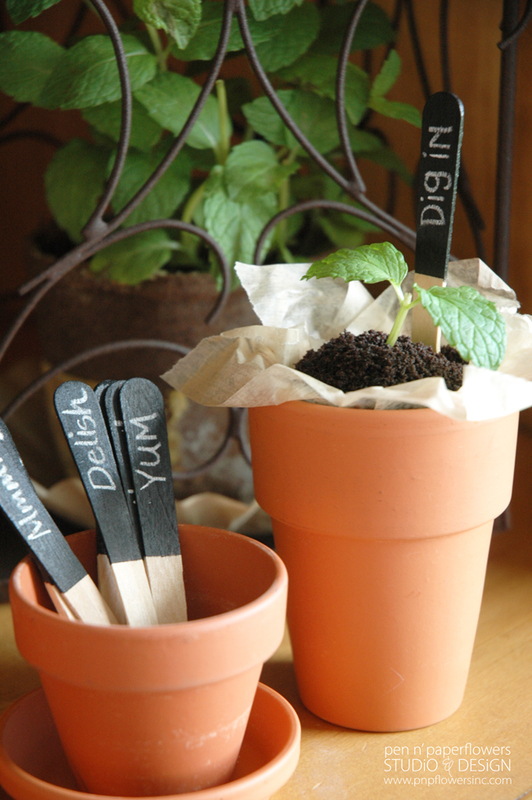 Instant Plant Marker Spoons for the super adorable interactive "Parfait Potting Station" I designed. 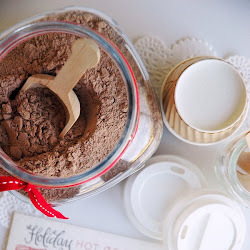 (see all of the details for the parfait potting station RIGHT HERE). See!! 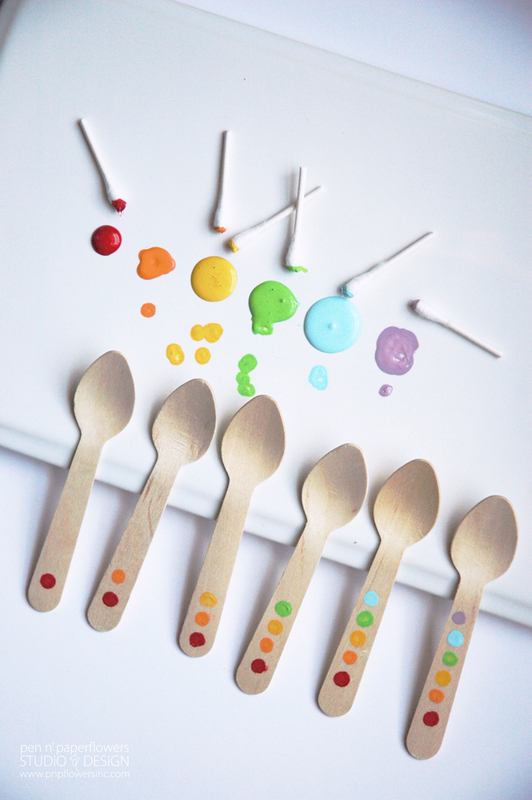 The creative possibilities with wooden utensils are endless. And the process doesn't have to ridiculously complicated - a little bit of detail goes a long way!! Now...here's the super exciting part of today's post!! 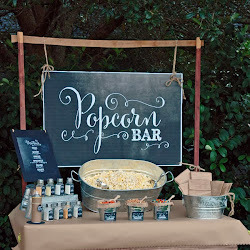 I'll be sharing a really, really cute idea on The TomKat Studio you won't want to miss. I think you're going to love how it all ties together!! 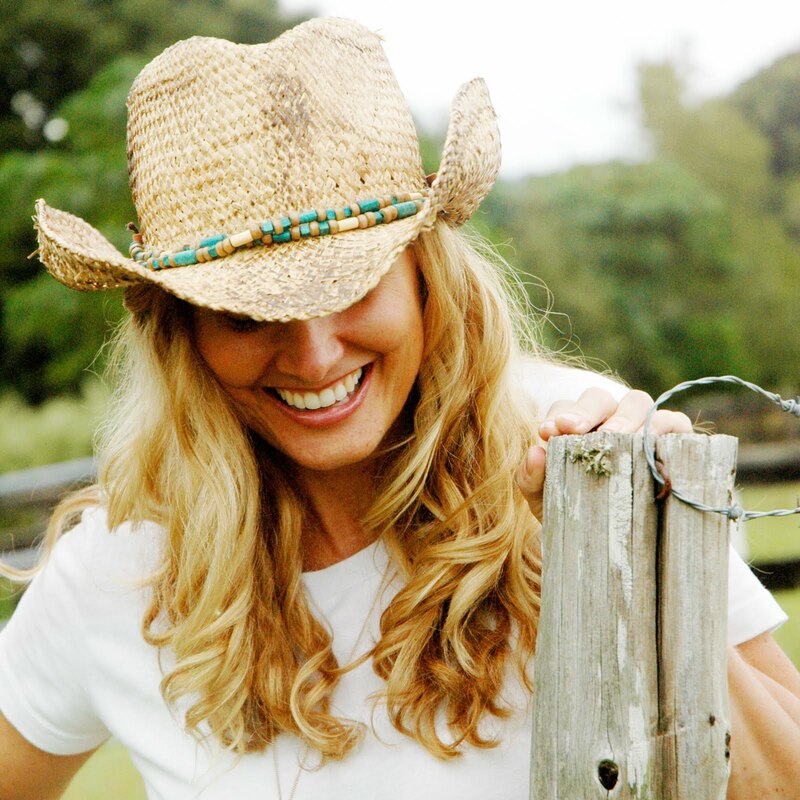 Stay tuned for the announcement for when the a post goes live!! My little Ella Scarlet needed my full love and attention. With no real signs of improvement after a rough weekend, I took her to the doctor yesterday. and an ear infection in her left ear. Doctor says "walking pneumonia is going around in our area? I'm starting my own round of antibiotics tomorrow since I've still got a cough that just won't go away. And...I whipped up a batch of homemade cough syrup that seems to be working already - inspired by a friend. I'll be posting more on that later! Lovely tutorial. I love your projects. Hope u both get better soon!! Thank you Reba!! I sincerely appreciate your comment about the tutorial and the projects on my blog. Another one of my girls caught the cold too but we've all finished our antibiotics and aside from a lingering cough we are all doing so much better! Yay!